It's time for Favourite Things Friday which is a happy little linky party where you have the opportunity to write a post about something that rocks your socks. We'd love for you to join us. Pick one of your favourite things and spread some happy thoughts around the Blogisphere. My favourite thing this week is the Internet. I know this has been done by other people but I realised just this week how much I rely on the Internet for almost everything. The Internet has made the world more accessible for all of us. I can buy fabric from another country, try recipes I may never have otherwise made (think butter tarts and about half of what Kirsten posts on her blog ), check out other people's ideas and thoughts and converse with people half a world away where it's still day time when it's dark at my place. I can read the news with the click of a button, surf eBay and buy things I didn't know I needed and learn about just about anything that piques my interest. There is always someone kicking round the Internet doing something because the Internet never sleeps. I can read about people's adventures, be inspired creatively, and stick beak around seeing how other people live. The Internet has just about everything. It teaches, it inspires and connects us. The Internet has Blogging. When I started blogging, I had absolutely no idea of the impact blogging was going to have on my life. I've been blessed to become a part of a community where I can pick my friends, share my interests and be inspired by other people's ideas, creativity and lives. I've met some fantastic people who have become real friends either via email , phone or in real life. Every single person I've met has been extraordinary. The Internet has been responsible for pushing me out of my comfort zone and making me try new things. I've drawn strength from the experiences and support of others. I've laughed, I've cried and I've been amazed. I've had so much fun and it's become an integral part of my daily life. I love hanging with you guys. The Internet gets a lot of negative press but honestly I cant think of one negative thing about it. It's opened up a world of possibilities and wonder for me , and I'm glad you're all sharing the wonder with me. And as much as I love the Internet I'm not sure why Blogger insists on it being capitalised in print. I just checked and it doesn't make you spell God with a capital letter... what's the deal with that? I love the internet too! Remember when you had to go to the library to research stuff? And have those huge, heavy books called encyclopedias that were always outdated as soon as you bought them? Ack! boy, isn't that the truth; so many experiences all wrapped up into blogging and so much education on the interenet! a blessing to us all! Great post Shay. I love the internet also. I'm so happy for all the wonderful people like you that I've met through blogging. There's no other way to get in touch with so many quilting friends. You're right what's up with blogger! I love the internet too. Otherwise I wouldn't know what vegemite was (even though the word was in that song Land Down Under -- I just never knew what the word was -- I made up my own lyrics). Music is at your fingertips, no need to look up important trivia in the almanac. God doesn't have to be capitalized, only when you're talking about The God, not just any god. As for blogger, I don't care if they want to be capitalized. Fantastic favourite - sure is amazing how easy it is to keep in touch and get the handiest of hints. Sure changes the way to find information and make friends with similar interests. Can I write a post about YOU!! I just love your writing style. And of course I love the internet cause otherwise I would have never gotten to know you. Totally agree with you Shay, it's changed my life. I wouldn't have been arrested and banned from entering South Australia if it wasn't for the internet, bwah ha ha. Seriously though, it has been wonderful meeting so many fun interesting and like minded people all over the world. It's also great for finding out information, and buying waaaaay too much fabric. I totally agree!! You've summed up my feelings about blogging perfectly. We're part of such an amazing community only fingertips away. Plus the internet is great for shopping for fabric in the middle of the night when you can't sleep because you're thinking about all the fabric you need for projects you're going to make one day. Love this post Shay and from someone who thought all those computer people should get a life...I am completely hooked. I didn't realise how it would enhance my life and the interesting and talented people I would met and share their life through their eyes. You ARE the 'favourite' in FTF. I honestly don't know what I would do without the internet now!! Thats a scary thought to realise how much it is in my life but thats progress as they say and I love it!! Totally agree with you. I'm lost if I have to go a day without logging on and catching up with all my internet pals and what is happening in their day to day lives. Well I love the internet too and I took the brave step to change over modems tonight when there is no IT support available. Wasn't too happy when it didn't have mac capable software in their easy to install CD. So cranked up the kids PC and loaded it up there, the mac is so clever that it just found it on my network and continued working. So hopefully now I won't have to kick the body awake every morning like I have been doing with my old modem and it will stay super fast. I must say I have met lots of lovely ladies through my blog and the internet and it is just such a wonderful resource for ideas and inspiration and I don't know what life would be like without it. 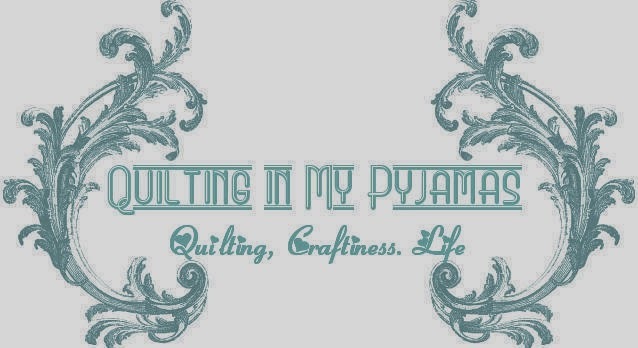 I love the Internet and blogging because now I know that I am not the only person in the world who is a stay at home mother who is happy to be that, and I am not the only person who is happy to spend hours at a sewing machine. I am no longer alone!! You know, I totally take the internet for granted. It's there waiting for me to use it every day and I never think to say thank you. If you need to know anything "Google it" is the cry. And you're right about meeting nice people. Well, being Canadian, I love that I can look up the weather forcast each day. We are nuts to know about weather. Before the internet, we had to wait for the radio or tv to inform us about weather for the day. No, we don't look outside and think what the day looks like, we search the net for info. I can't imagine my days without it too and all the people I've met on the net who really think I'm not that bad at blogging. I love seeing and reading the blogs I've found. And I couldn't agree more. The internet (particularly Blogging & Flickr) has changed my life for the better too. I now enjoy having extraordinary people like you to be inspired by. I have linked today's post to you. Thanks for the opportunity. I have a bad habit of saying :I dunno, go ask the internet"
I'm not quite young enough to be able to say that I have always had the internet, but I did get my first blog when I was 13. It was a bit crap though. There are parts of the internet filled with immature, whiney wastelands of html sacrificed for no real purpose, but there's enough good stuff (and google and linkys) to help us find it. Fabulous favourite, especially because without the internet I would never have met my favourite Aussie. ☺ Happy Saturday! PS...I'm still having Blogger issues too. Hope they get it fixed. I'm starting to get annoyed! Why didn't my linky work? I am going to try again and see if my name appears. If it comes up double many apologies. Great post Shay! I'm not quite sure how we'd live without the Internet at this house. Though My Guy the last couple of years has given it up for Lent (which means he asks me to look up all the stuff he needs-LOL). I'll give up chocolate, but not the Internet! I love the net for all the reasons you mentioned. I've learned a lot about other cultures, and how different people the world over all have so much in common. When I was a kid I always wanted a pen pal, but I would have been horrible at it, because I write 12 letters before I ever mail one. It's so much easier to just hit send or post and away it goes! The Internet is my new cookbook and new encyclopedia. Ditto everything you and your other commenters have already said! I'm so glad to have met amazing folks like you via the internet. I, too, love the internet. It's like a huge encyclopedia brittanica. Bloggers are the best, aren't they? Fantastic post Shay - it's amazing how the Internet has become such a huge part of our lives, as you said, for education, inspiration and the most fantastic friends! Love your fine print! Would appear the Internet has a superiority complex!